Welcome to the thrilling days of yesteryear! Pay your nickel admission to the theater, and sit back with popcorn in hand to watch this week’s exciting adventures of heroism and dastardly villiany! And when it’s all over, make sure you come back next week… you don’t want to miss seeing how our hero (or heroine) gets themselves out of their terrible predicament, because (of course) all good serials end with a terrifying cliffhanger! 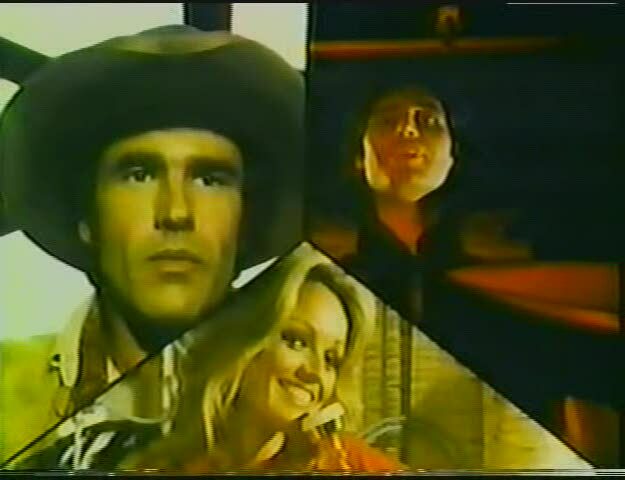 OK, that’s from the movie screens of the thirties and forties, and Saturday afternoon serials like the original Buck Rodgers and The Perils of Pauline… but since this is a television site, I’ll have to settle for a show that tried to harken back to those days, the 1979 series Cliffhangers! Even though it was a throwback to an earlier time, Cliffhangers was unique for a television format. It featured three very different “shows” during each hour, with each part finishing, of course, on a cliffhanger ending. Like the old Saturday movie serials, an installment of each continuing story was featured every week. So, viewers would see roughly 20 minutes of a modern-day globe-trotting action-adventure show, followed by a strange hybrid of sci-fi western, and finally a good old NEW gothic horror story, all in an hour program. Something for everyone, NBC hoped. And NBC rested a lot of hopes on Cliffhangers, as it was a spring replacement series in 1979, after NBC’s ENTIRE new fall line-up had been canceled before the previous November was out. They were willing to try anything at this point, and in Cliffhangers, the network tried three different things… all at once. CHAPTER 1: Stop Susan Williams starred actress Susan Anton as the title character, a news photographer whose reporter brother had apparently been killed. The incident was thought by most to be an accident, but Susan had received a frantic and urgent call from her brother just before his death, which led her to believe there was more to this story. She convinced her editor Bobby Richards (television veteran Ray Walston) to send her after clues left in an address book she found in her brother’s apartment… just before someone tried to kill her. What ensues is a world-wide journey (on the Universal back-lot, of course) from Marrakesh to Nairobi to Washington, D.C. with threats to Susan’s life at every turn. She meets up with Jack Schoengarth (Michael Swan), a scoundrel who happened to know her brother in the past, and is periphially involved in the events the brother was investigating (and Susan is now trying to stop). They find various clues along the way, as Jack is busy saving Susan each week from exploding cars, deadly cobras, and even rampaging elephants about to stampede! Basically, what’s being emulated here is the classic The Perils of Pauline from 1933, just updated to a present-day setting. NBC thought that Susan Anton was “the next big thing”, so much so that she was not only featured on Cliffhangers, but she had her own weekly variety series airing elsewhere on the schedule at the same time. Unfortunately, the network’s love affair with Susan wasn’t shared by television audiences, and both shows were gone before the next season. But that’s giving away the ending, and we’re supposed to be wondering what’s going to happen next…. CHAPTER 2: The Secret Empire was a definite departure from Stop Susan Williams. In the beginning a traditional western, it soon became something quite different. Basically a remake of a relatively unknown 1935 Gene Autry movie serial called The Phantom Empire, it combined cowboys with science fiction (showing that Firefly wasn’t the first… just the best). Marshall Jim Donner (Geoffrey Scott) is on the trail of the Phantom Riders, masked horsemen who’ve been stealing gold shipments in 1880 Wyoming. What starts as a typical western, complete with love interest/frontier doctor Millie Thompson (Carlene Watkins), shortly turns into a science fiction epic. Donner stumbles upon the Phantom Riders hideout, a hidden cave containing an elevator leading to a futuristic underground city. As the serial progresses, Donner discovers the evil leader of the city, Thorval (Mark Lenard), whose cunning plan is to brainwash the citizens above and take over their world. To do this, Thorval needs gold to power his “compliatron”, hence the gold robberies. The brave lawman uncovers not only the evil plot, but finds a resistance movement trying to stop Thorval, who’s already used his machine on many of his citizens. “Donner Jim” (as the resistance calls him) rallies the rebels in order to help save both the underground city and his own people… and he ends up captured and re-captured multiple times along the way. 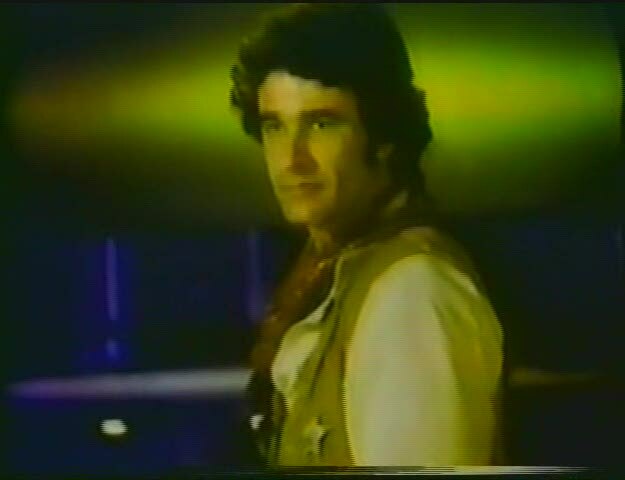 Donner’s serial cliffhangers include traditional western endings like his horse jumping a cliff (into a previously unseen river), and sci-fi threats like being attacked by a monstrous green creature from the underground (he’s “rescued” when the creature turns out to be friendly), and being “shot” by a futuristic ray gun (which merely immobilizes him, instead of killing him). As if those aren’t enough, in later episodes Donner’s old and new friends end up in the Cliffhangers endings (both above and below ground), with Donner rescuing them to become the rightful hero of the piece. All this was designed to evoke the feelings of the traditional movie serials, and in this respect The Secret Empire really couldn’t lose, since it was also the one most closely based on an actual serial from that era. There was a distinct lack of updating done on this segment of the show (other than eliminating Autry’s “singing cowboy” schtick), and it was probably the most traditional, even if the hybrid subject matter was also the most unusual. 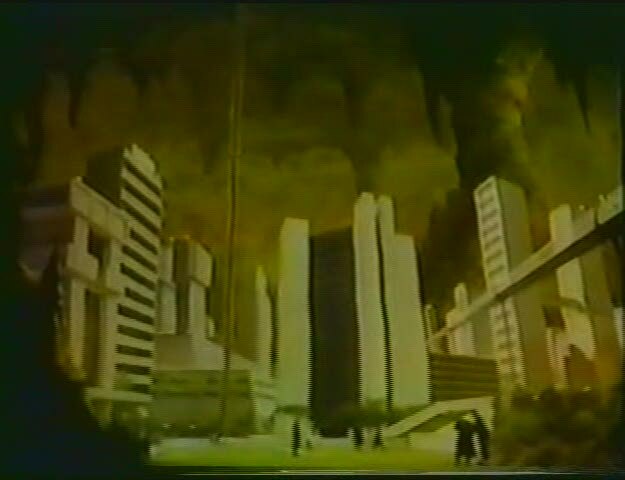 The really unique feature of The Secret Empire was the deliberate decision to show all the “old western” above-ground adventure in “beautiful” black and white (with a slight sepia tinge), while the underground futuristic environment was shown in color. The dichotomy actually worked rather well, and was an excellent nod to the early 30’s origins of the Cliffhangers genre. Unfortunately, there was one other inadvertent nod to that type of storytelling: the series only lasted long enough to almost get to the end of the story, with both Stop Susan Williams and The Secret Empire left as REAL cliffhangers, at least on the network run. More about that later, because now, it’s time for our final exciting Cliffhangers tale…. CHAPTER 3: The Curse of Dracula was the only truly original tale featured on Cliffhangers, even though the idea of Dracula, horror stories and gothic romance had been around for quite a while. Using the traditional vampyre mythos, creator Kenneth Johnson crafted a modern-day story concerning Kurt Van Helsing (Stephen Johnson), the grandson of the famous vampyre-hunting Van Helsing, and Kurt’s girlfriend Mary Gibbons (Carol Baxter). They were on the trail of Dracula (played with distinctive flair by Michael Nouri), who by now had lived over 500 years and was apparently teaching Eastern European History at a local college (night classes only, of course). Yes, this all sounds rather campy, and yet this was the one story where camp took a back seat to atmosphere and style, and although there were occasional deliberate laughs (Dracula runs a light, and tells the belligerent officer “I know red when I see it.”), the series was never played as anything but honest and serious (which, if you think about it, is rather hard to do with a mythology rife with possibilities for being overplayed). Nouri shines as a villain who seems tortured by his existence, yet still understanding of his legacy, no matter what it may have cost others. And even though the traditional story is about Dracula and Van Helsing, it’s Mary who pays the emotional cost. The Curse of Dracula was the most popular of the three serials on Cliffhangers, and it was probably the best acted and written. Viewers loved the emotional struggle of Mary, who at one point is a vampire hunter and at another becomes romantically attracted to this denizen of the night. Far in advance of today’s vampire versions found in Twilight, The Vampire Diaries, and Moonlight, Nouri’s portrayal of the ageless Count was one of the first on prime-time television to be a romantic lead, even if he was ostensibly the villain of the piece. This was one of the highlights of The Curse of Dracula, as at times Dracula was the threat in the cliffhanger, and at times he was actually the one saving someone else from his jealous minions. The Curse of Dracula actually got an ending on television. Supposedly, we joined each serial “in progress” and Curse started with Chapter Six… in the premiere episode. 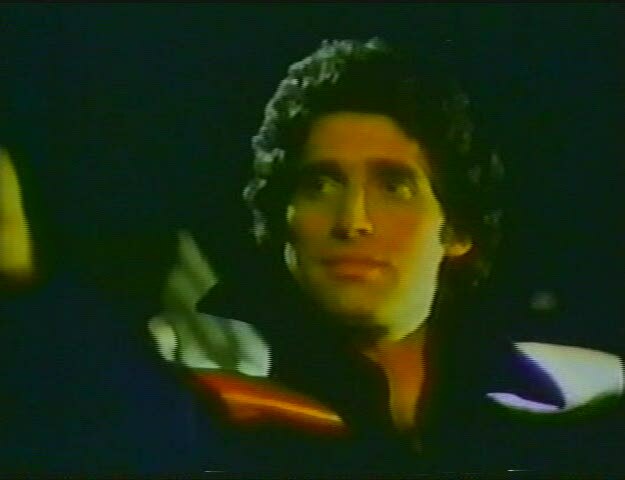 The Curse of Dracula also benefited from a “recap” special when Dracula ’79 aired part-way through the season, as the numbering caused some viewers to believe they’d missed installments (they hadn’t). Dracula ’79 was simply a re-edited version of the story so far, airing halfway through the series run, in an attempt to allow viewers who had missed the beginning of the series to catch up. This unfortunately didn’t attract enough people to the show to save it, and so, with a resolution to The Curse of Dracula and apparent cliffhanger endings for both Stop Susan Williams and The Secret Empire, Cliffhangers ended most appropriately. Cliffhangers isn’t available on commercial DVD, although there are rough bootlegs out there. Some of these include the missing “final” episode, which contains no Curse of Dracula, but the last episode of Stop Susan Williams book-ended by the final two installments of The Secret Empire. In reality, all three stories had a conclusion, but NBC canceled the series and left one installment unaired, making certain that Cliffhangers really did live up to its name. All of the stories were re-edited into movies for sale in syndication and abroad. Stop Susan Williams became The Girl Who Saved the World, while The Curse of Dracula became The World of Dracula (since there was already a movie by the Curse title). There’s a couple really great websites, one with lots of background on the show, and another with more specific installment-by-installment information, and both are filled with an amazing amount of knowledge on Cliffhangers. NBC in 1978 was a sinking ship, having canceled their entire new September lineup within three months of their premieres. Spring series like Cliffhangers got a chance only because everything else had fared so poorly, but it took more than just a season for NBC to recover from their previous terrible Fall. NBC was desperate to be rescued by almost any show, as the only hit they had at the time was Little House on the Prairie. But with nothing to build upon, it would take a lot longer than Spring for their fortunes to change… it would take years. And Cliffhangers apparently wasn’t the show (or “shows”, if you want to look at it that way) to come to NBC’s rescue. …until the next death-defying chapter, and the thrill of the rescue! Bring on the Cliffhangers! Aired at Friday 8/7 Central? No, but probably anything NBC aired at any time would have ended just like Cliffhangers. Something had to go Tuesdays at 8/7 Central against Happy Days, and this was it.